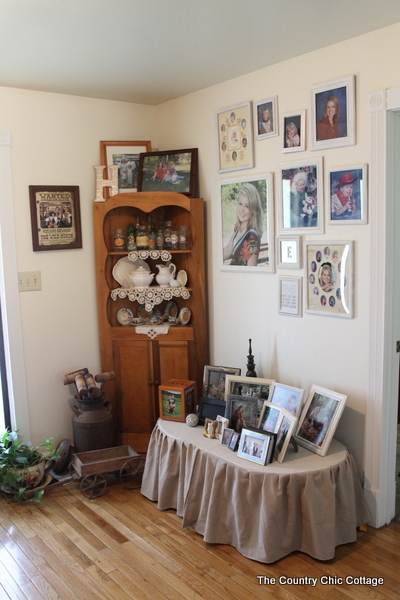 I announced that I am participating in the Parade of Homes with The Shabby Creek Cottage over the weekend and today is my day to show you around my home. If you are following along on the tour, you should have came here from The Pennington Point. Starting the tour here? No problem I will give you the links to get you all caught up at the bottom of this post. For now step up onto my front porch and make yourself at home. Maybe sit a bit on my colorful porch before walking through the front door of my home. 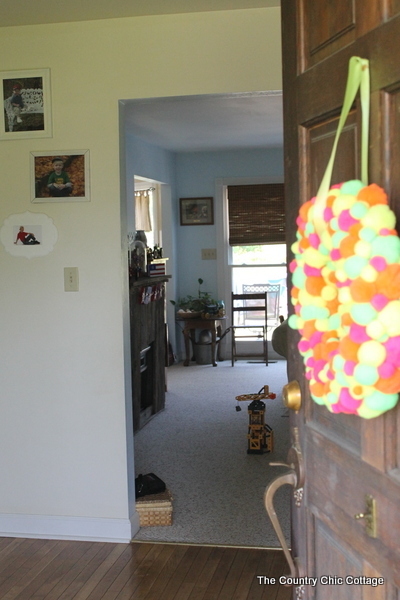 The front door currently sports my DIY neon pom pom wreath. As you step into my foyer you can turn to the right and see one of my recently completed gallery walls as well as the stairs. We will head upstairs in a few minutes. For now lets turn left to see yet another gallery wall. 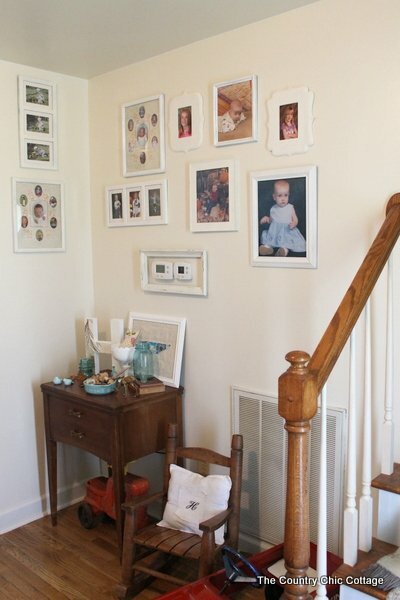 In my foyer I have a wall for each of my three children that shows pictures from when they were babies all the way to present day. They are like a time capsule of our life and one way to show off my babies! 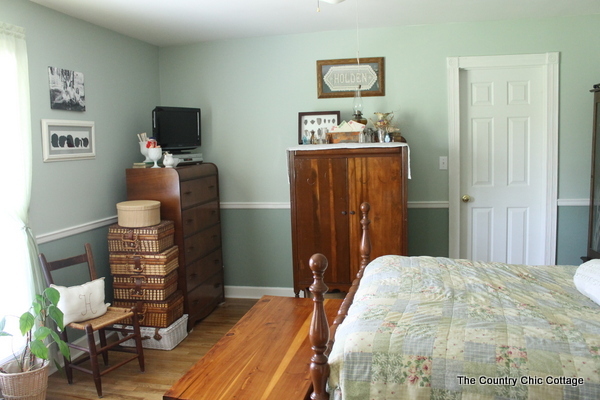 Also on the left side there is a door leading into the master bedroom. We will go there in just a second….y’all be patient. Want to see any of the projects in the foyer? Be sure to visit our foyer project gallery. First lets have a look around the room that is right in front of us as you walk through the door. 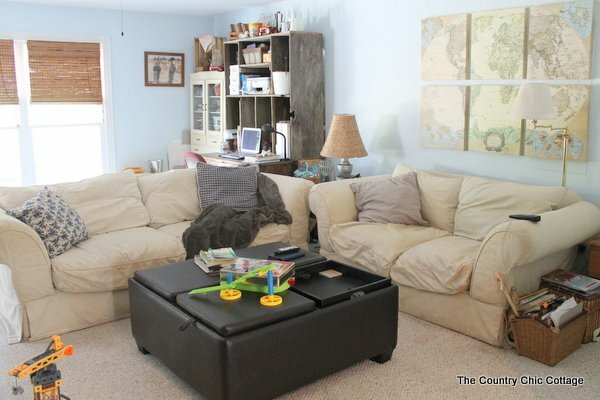 Our family room, living room, office, playroom…. This is basically where we spend all of our time building, playing, and working. 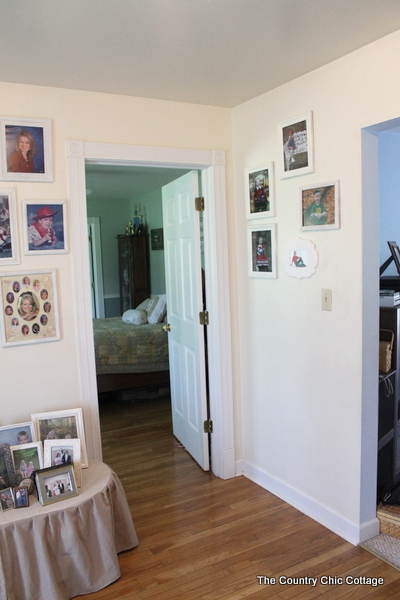 Want to see any of the projects in this room? Head on over to our family room project gallery. If you have been around here a while, you may notice that back wall used to be french doors with HUGE curtains. We had windows installed there instead and I just installed those bamboo blinds. 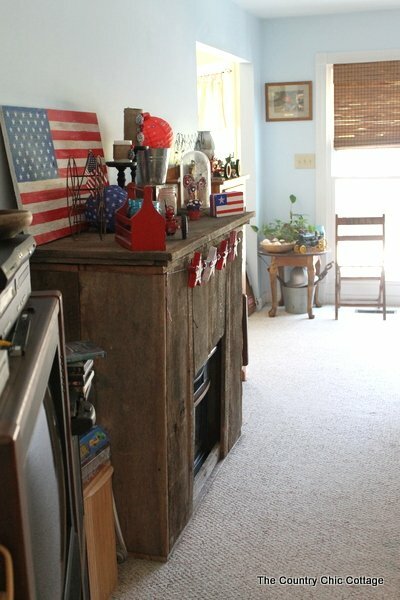 To the left in the family room you will find my mantle all decked out for summer. Then that walkway you see in the background leads to our kitchen. Step into my kitchen for a glass of tea y’all! From this view the eating area is behind you and those glass front cabinets are right there in front! I keep a variety of vintage collectables in those cabinets at any point in time. From here you can walk through to the mudroom/laundry and then onto the master closet and bathroom. Our house is sort of laid out in a circle. 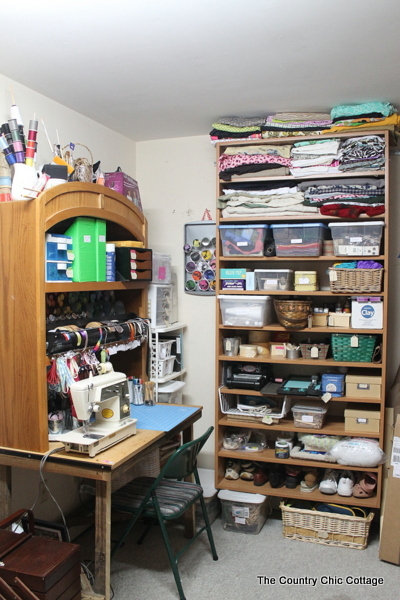 I really must stop to show you my half of the walk in closet because it is now my organized craft area. 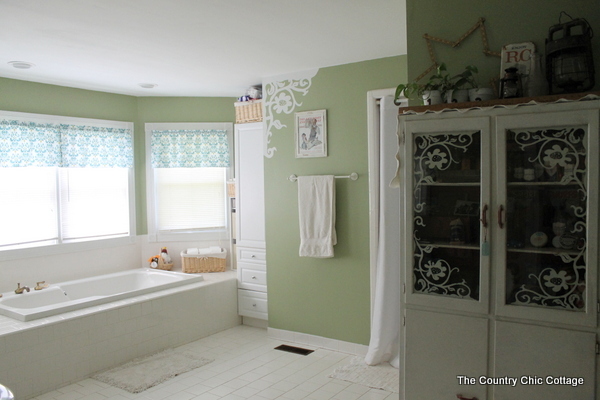 I have a really hard time capturing the expansive mass that is our master bathroom on film. This is the view from the bedroom door. Yes it is that big and more! 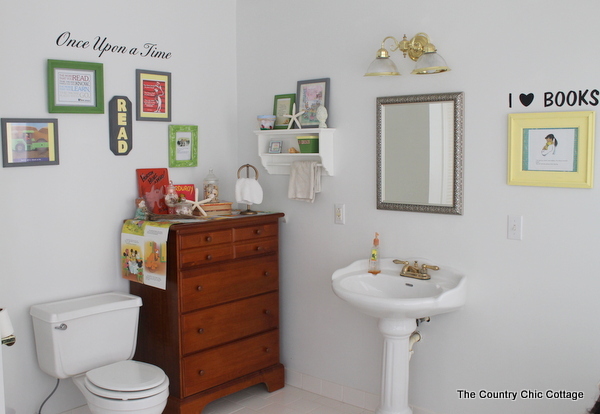 You can check out our bathroom project gallery for project details in both bathrooms. If you turn around completely from the vantage point of the picture above you get this view of our master bedroom. The door to the left in the picture below will lead you back to the foyer which is where we started this journey. I will give you a few shots of this room cause it is probably my favorite of all the rooms in our home. 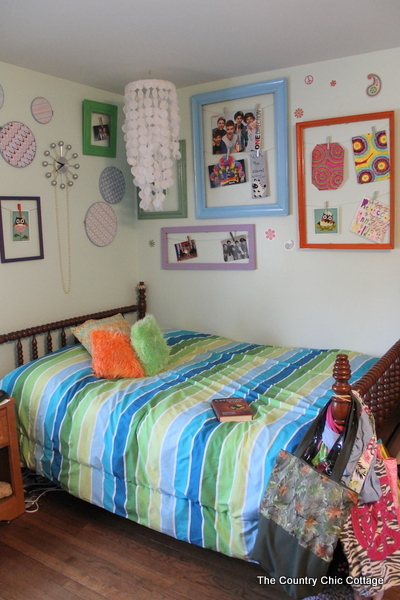 You can check out our bedroom project gallery for project information in this room. The door in the picture below will lead you into our master bathroom. See a complete circle! Now lets go back out into the foyer and walk up those stairs. Again the upstairs is laid out like a circle. You top the stairs into what is termed on our floor plan as a “game room”. 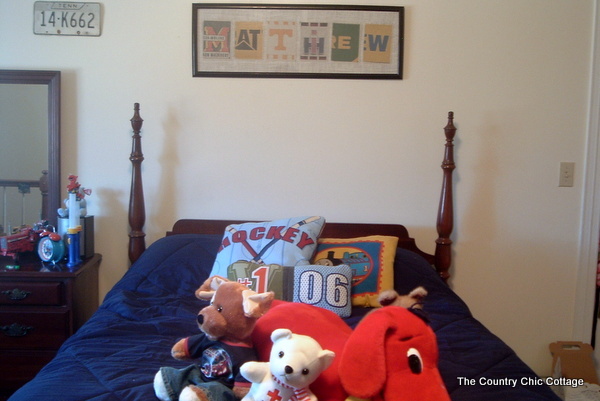 We have turned this into a fourth bedroom that our son currently resides in. Turn right from his room and you are in the bedroom of our middle daughter. 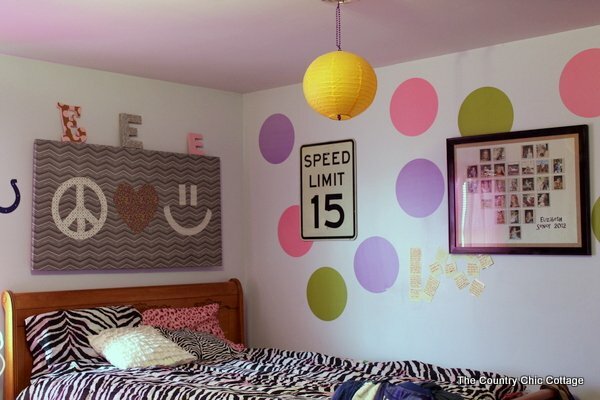 For all of the kids rooms, you can find project details on our teen and kid room gallery page. Turn left from her room and you are in the kids bathroom. I redid this a few years back in a “for the love of books” theme and we still love it. Turn left from the bathroom and you are in my college aged daughter’s room. Yes I am in fact old enough to have one in college. Last year she actually lived in the dorm but she is officially moving out this fall. I expect lots of changes to all of these upstairs rooms when that happens so stay tuned. Turn left from her room and you are back in our son’s room. Yep another circle! 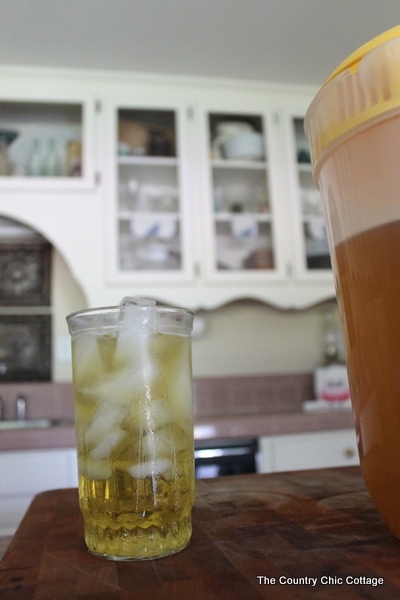 So lets head back downstairs for a glass of sweet green tea. Cause you can’t come visit my home without sharing a glass with me! Now are you ready for some more home tour fun? Your next stop on the tour is with Brittany from Pretty Handy Girl. Have you missed out on the fun? Well check out the list below to visit all the wonderful blogger homes on the list. A special thanks to The Shabby Creek Cottage for being our hostess. Want to join in the fun? 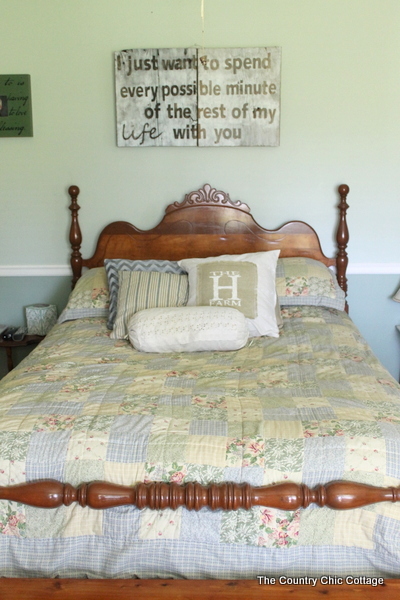 Link up your own home tour at The Shabby Creek Cottage on Friday! Linking up with Domestic Imperfection. Having been at your house before, I already knew that I loved it! And your bathroom… girl those photos just do not do it justice. Thank you for sharing your beautiful home on the tour! Lovely tour, Angie! That fireplace… is that a fire place??? That rocks!!! Your home is super cozy and the colours make it a cheerful, warm place to visit. Thanks for the tour! 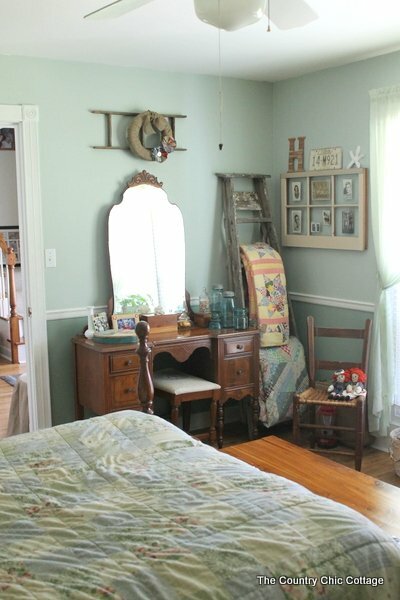 Absolutely LOVE the antique/vintage dressing table in your master bedroom. Adorable cozy home! Thanks for sharing. Thanks for the home tour, Angie! I like your homey, comfortable style. 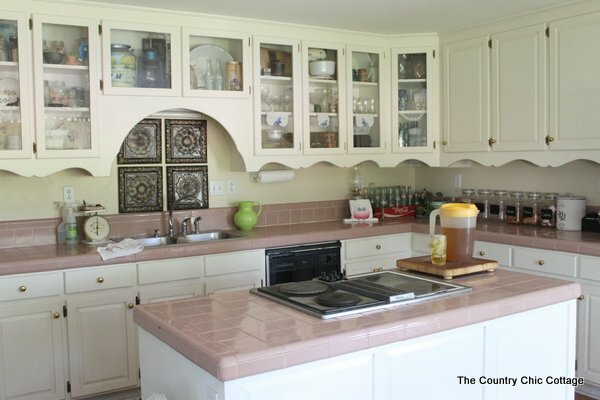 And those kitchen cabinets? LOVE! I’m glad you kept the vintage charm. I love all of you colors and your cabinets are amazing. You have a wonderful,cozy style. Thank you for the fun tour Angie, I’m loving that sweet tea! haha! Your home is so pretty, I especially love your bathroom, that stencil that you used is so lovely! And I might have to steal your fabulous porch furniture, pillows and all!! Love the tour and the tea! I only wish that I had an organized craft room! Love your kitchen cabinets! Thanks Angie for the tour of your lovely home. I want your master bathroom!!! Angie, you have a beautiful home! 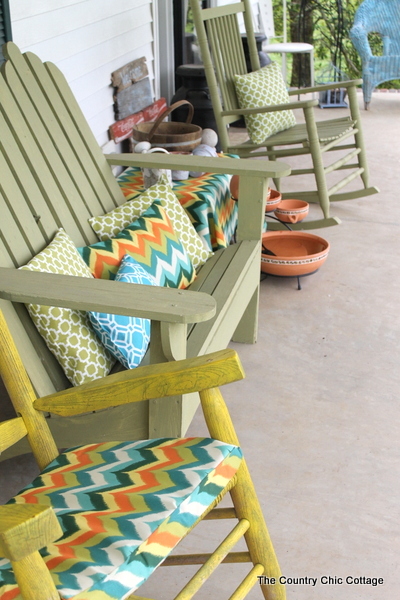 I think my favorite is those bright colored rockers on the front porch. Thank you for the post, Angie! You really have a beautiful house. Beautiful colors all around, really nice kitchen design.